Story: Do you ever read a recipe and try to imagine the taste of the end product? I do it all the time.. and I try the recipe if I really like what I imagined.. or if I cannot imagine the taste - it intrigues me too much..
What's not to like? 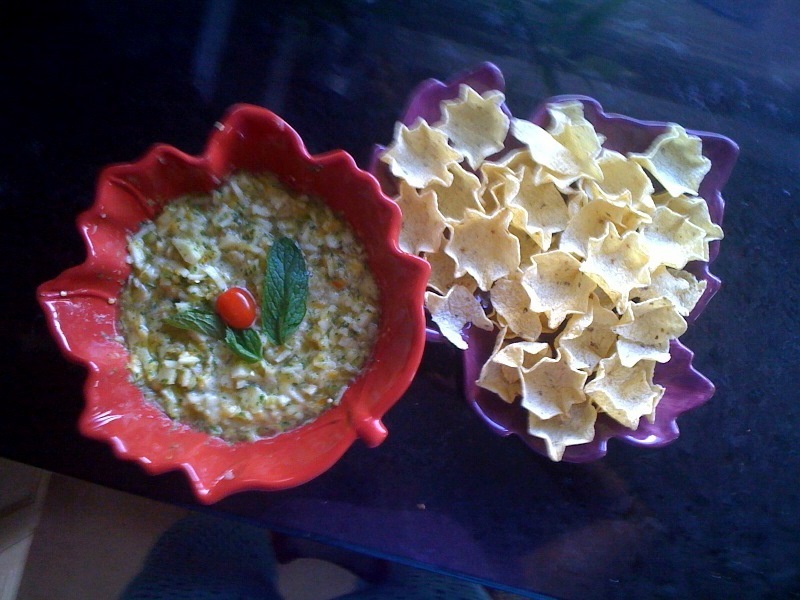 - Summer - good, Combination of green apple and orange - good, Freshness of mint with the spice of red chilies - good..
and as it happens in the case of many recipes the taste of this fresh summary salsa was better than what I had imagined..
Real simple - Peel the orange and apple. Cut them into vertical pieces. Add the orange pieces, apple pieces and the rest of the ingredients to the food processor and mix till you get a coarse consistency to the salsa. Enjoy with tortilla chips or grilled shrimps. Serve within 2 hrs after making.. It is just perfect for a summer BBQ party!